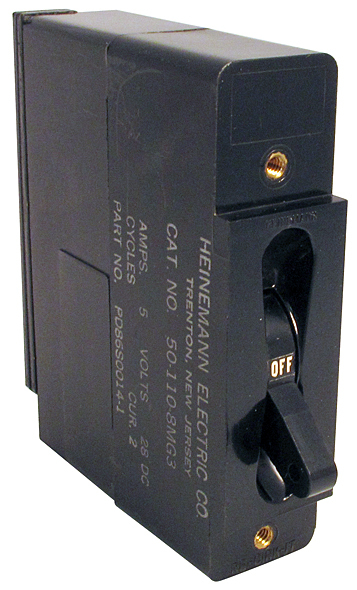 Heinemann single pole circuit breaker. 28v DC, 80 amps. TD = 1. 1.02"W x 3.73"D x 4"H overall. 2.78"H body alone. 1/4 - 20 stud terminals on bottom. 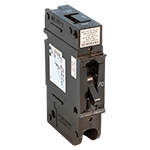 General Electric circuit breaker. 25 amps @ 120v AC or 125v DC. 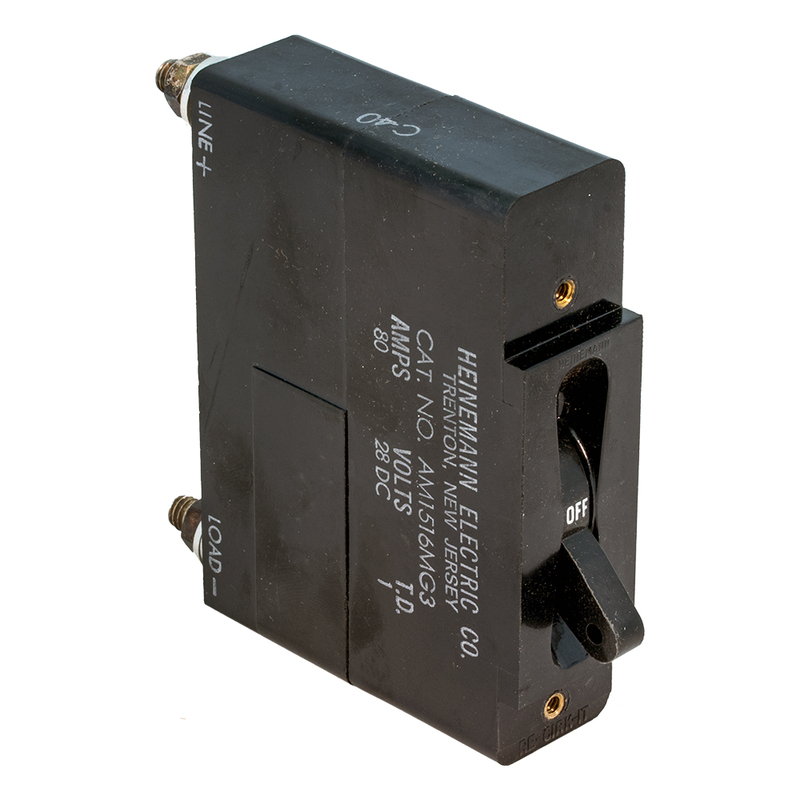 Current interrupting rating 10,000 amps @ 120v. Single pole. 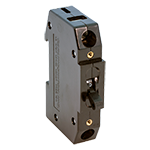 1-5/16" x 6-1/4"L x 3-7/8" overall. 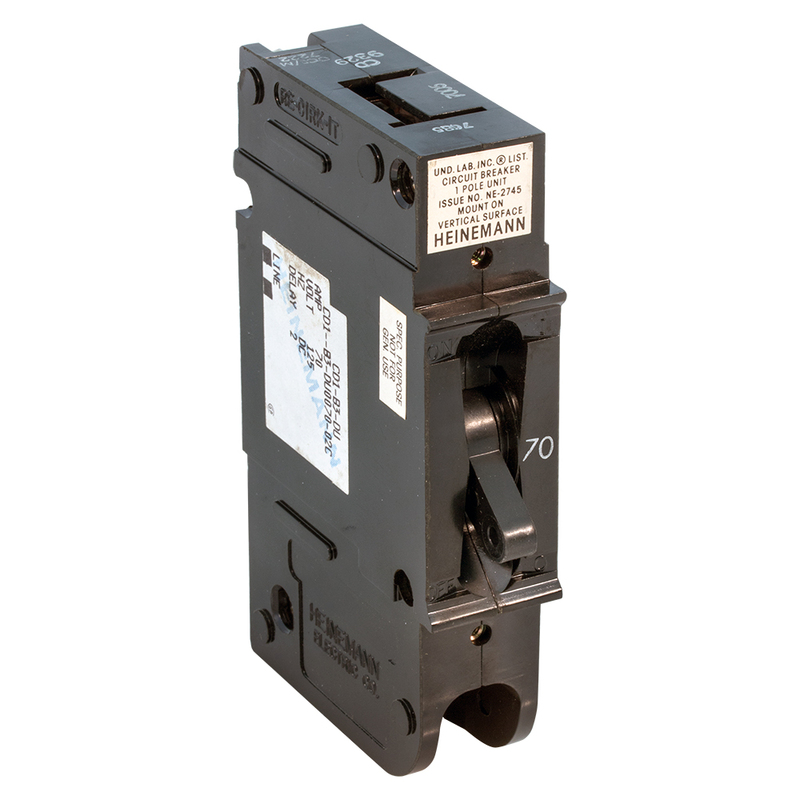 Heinemann circuit breaker. 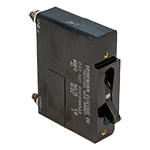 28 vdc, 5 amp. 3-3/4"H x 1"W x 3" deep. Alt. P/N: PD86S0014-1. NSN: 5925-845-5068. 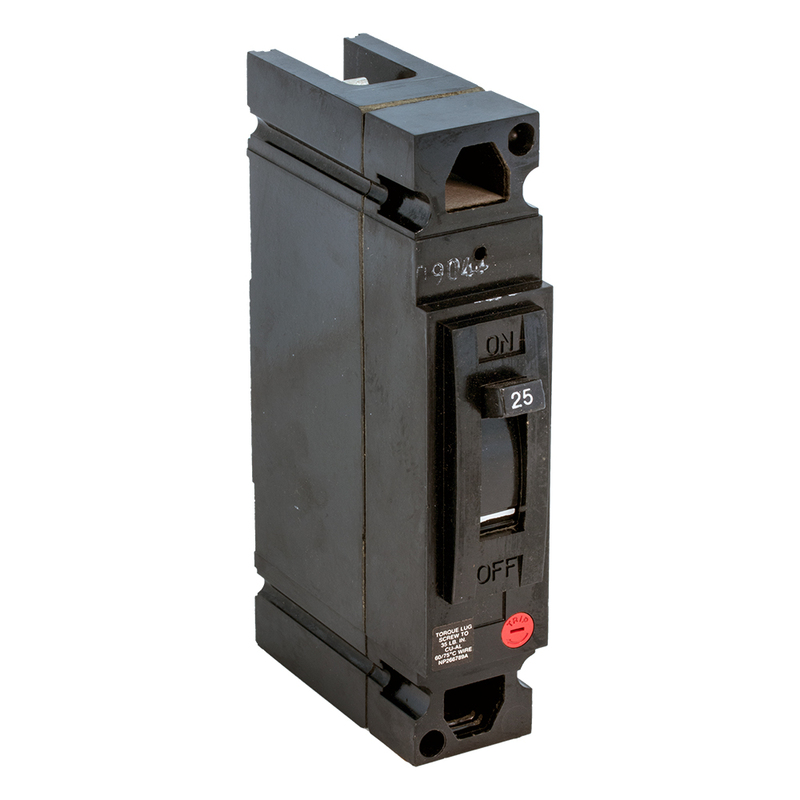 Heinemann circuit breaker. 125v DC, 70 amp. Delay 2. 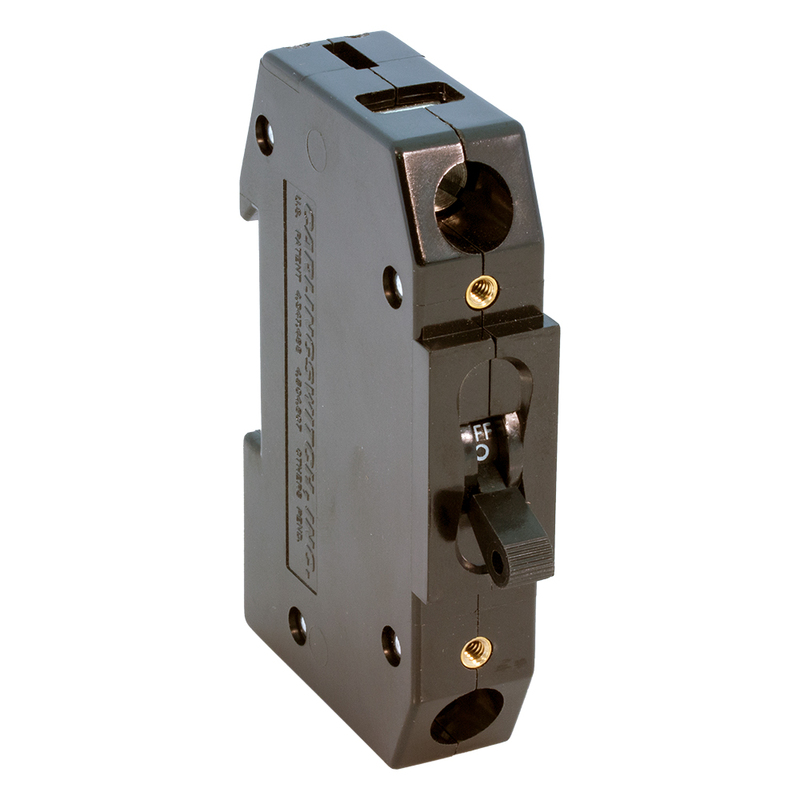 Measures: 4-3/4" x 3"H + studs x 1"W. 1/4 - 20 studs 3/4"L.
Carling switch breaker. 5 FL. amps, 250 max volts, 50/60 Hz. Delay 20. 7.5 trip amps. 1 pole. 0.75" x 3.6" x 2.75" with toggle. New. 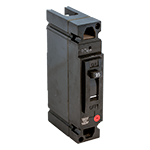 Allen Bradley magnetic overload relay. 600 vdc, 130 amp continuous. Inverse time relay. "Dash Pot" style. Harris P/N: 582-0047-000.